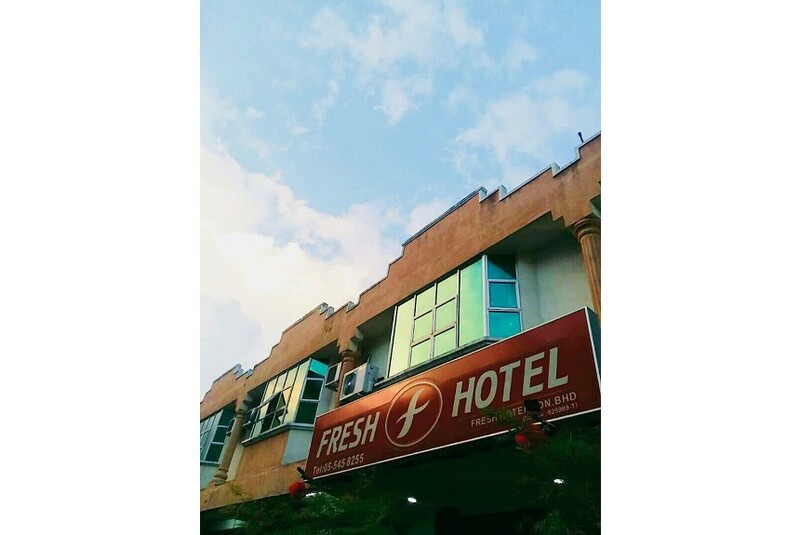 Fresh Ipoh is a low-rise budget hotel in Ipoh, Malaysia. Found about ten minutes from Aeon Mall Kinta City by car, it provides affordable accommodation with free on-site parking. The simple rooms include air conditioning and wooden flooring as well as an en-suite bathroom with a shower and fresh towels. Other in-room facilities include writing desks, flat-screen TVs, safes and telephones. This hotel offers guests free Wi-Fi and a 24-hour front desk service. A wake-up call can be requested during check-in. Fresh Ipoh is non-smoking. A supermarket is just steps away from this hotel. There are cafes serving breakfast plus seafood, pizzeria and Chinese restaurants to discover within 20 minutes' walk. The Lost World of Tambun Theme Park is found about six kilometres from the property. The beguiling Sam Poh Tong Temple is approximately 20 minutes away by car. Guests can also take a trip to the Han Chin Pet Soo museum in downtown, which can be driven to in 15 minutes.